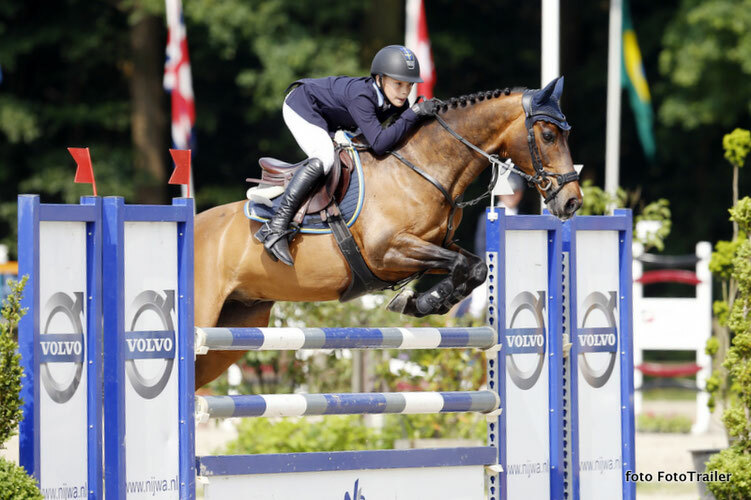 Almost a Dutch victory in the Big Tour for ponies today, but it was Ingemar Hammarström (photo below) who won the Morssinkhof Rymoplast Prize at 1.25m level. The girl from Norway rode Ocean des As (Vert Et Rouge). Runner-up in this class was the Dutch Charlotte Kuijpers with Cooper (Harley VDL).